The city is not a page that can be deleted and rewritten at each revolution. The memorial has therefore to become a new layer in the history of Kiev, in addition to the existing ones. Anyone who looks at the streaks of a tree trunk comes in contact with a natural universal metaphor of memory. It is all about memory of a past that is still present. Not one layer can be deleted, as well as each layer is complementary to the present life. 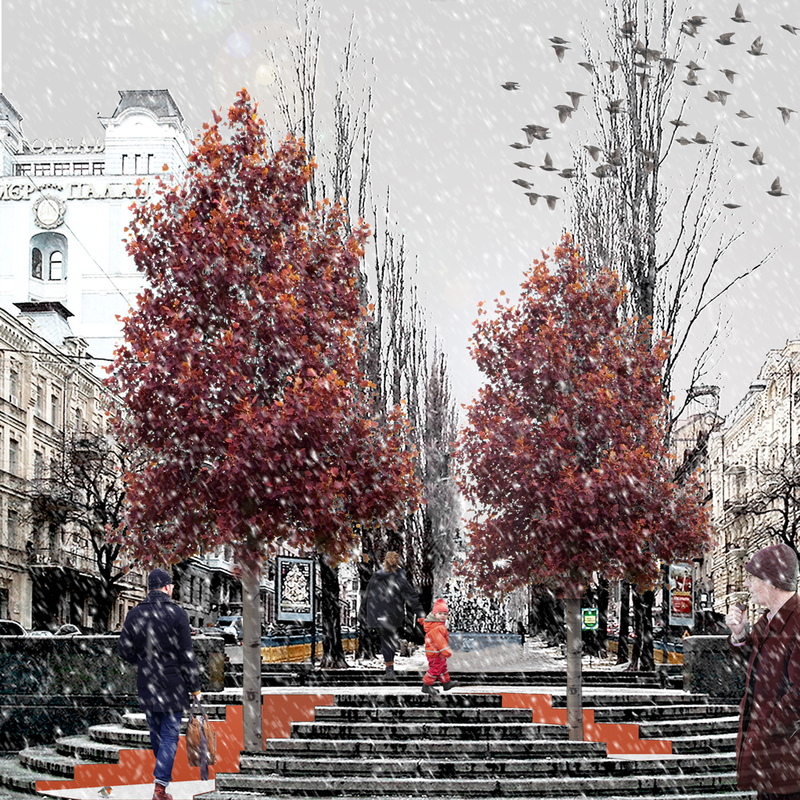 Instytutska becomes an urban forest, a living and widespread memorial, constantly changing, in relationship with the people who animate it. 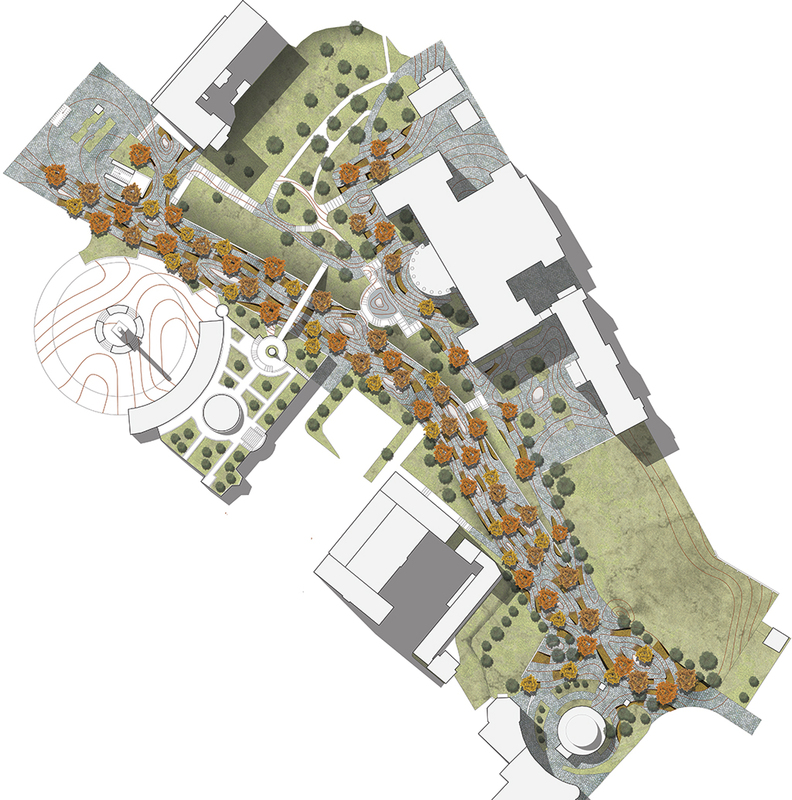 Veins in the pavement, cuts in the ground, nodes emerging from the pavement, and trees symbolizing new life and peace, are the elements that compose the memorial. 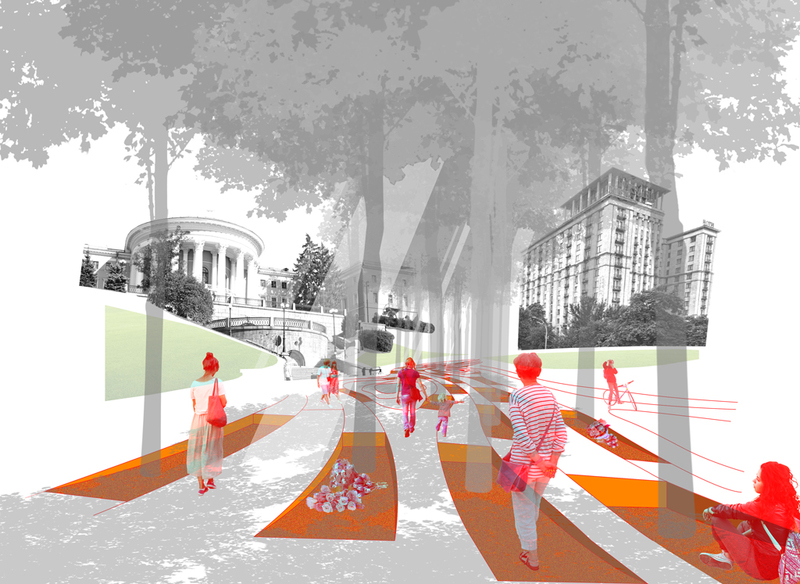 People will be called upon to interact with the environment, living and caring about this urban forest, and this will mean take care of the memory of the events. 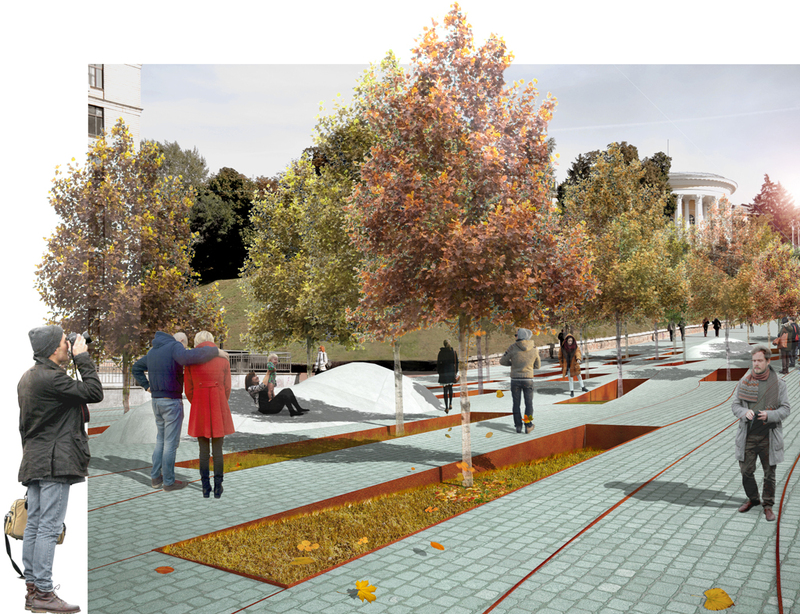 The experience of walking through the memorial with its wounds, its nodes, and all the tree canopies will be a way to remember and Instytutska Street will become a universal memorial for the winners, living and martyrs.